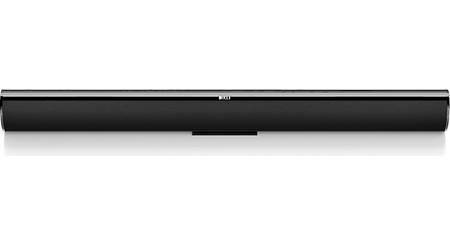 These days, most sound bars on the market are designed to "go it alone" — they're self-contained systems with built-in amplification and connections for your TV. 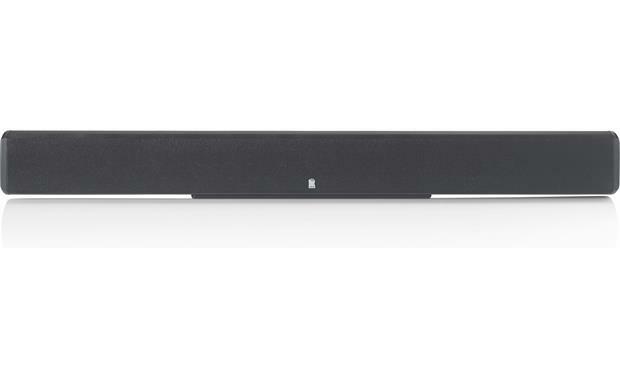 Think of Revel's Concerta LCR8 not so much as a sound bar, but as a high-end home theater speaker that impersonates one. This passive loudspeaker takes the place of the front three speakers in a traditional home theater setup. 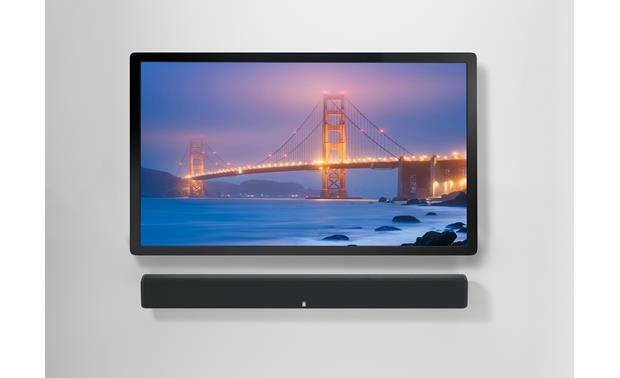 Left, center, and right channels are combined into a single, sleek aluminum bar that mounts on your wall or sits on your TV stand. 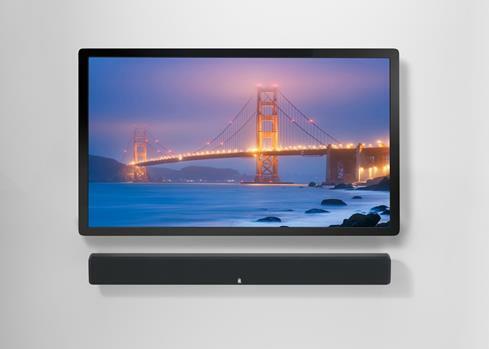 The LCR8 is designed to work with a home theater receiver. It's a great option for folks who want a neat, clean-looking system that can delivers enthusiast-level performance. During development, Revel's engineers evaluated the LCR8 in a variety of on- and near-wall installations, measuring the on- and off-axis response in an anechoic chamber from dozens of different listening angles. They balanced that with a series of double blind listening tests performed by a panel of experts in the company's Multichannel Listening Lab. The LCR8 consistently delivered flat frequency response across an exceptionally wide listening area. That translates to clean, accurate sound in real-world listening rooms. 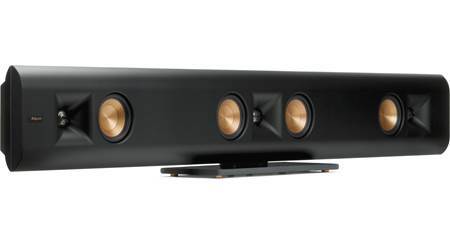 The LCR8 uses two woofers and one tweeter for each of its three channels — left, center, and right. The woofers and tweeters are both made of Micro Ceramic Composite (MCC), a proprietary material created by anodizing both sides of an aluminum core. This adds strength and stiffness, but very little weight, which is exactly what you want for accurate sound reproduction. 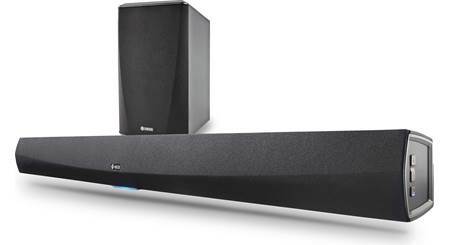 To complete your home theater system, you'll definitely want to add surround speakers. And a powered subwoofer is all-important for great home theater sound, too — this speaker plays loud and clear, but it's not designed to cover the bass frequencies by itself. The sound is amazing. Hooked this up to my Cambridge audio A/V amplifier coupled with an SVS sub. Music and movies sound great and rumble the house. 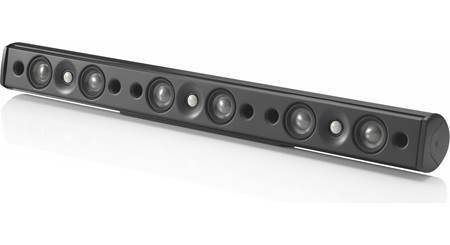 LCR Application: The Revel Concerta LCR8 simplifies the look of a multichannel theater system by doing the work of three front speakers. 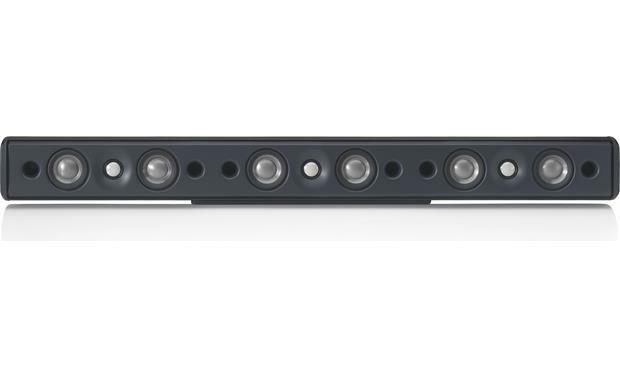 It delivers left, right, and center channel signals with the clean dialog and distinct imaging you would expect from separate speaker components. Simply add Revel satellite loudspeakers (M10 or M8) for the surround channels and a Revel powered subwoofer (such as the B1) to complete a high-performance home entertainment loudspeaker system. 3-Channel Driver Configuration: The Revel Concerta LCR8 loudspeaker is actually three discrete speakers built into a single enclosure. 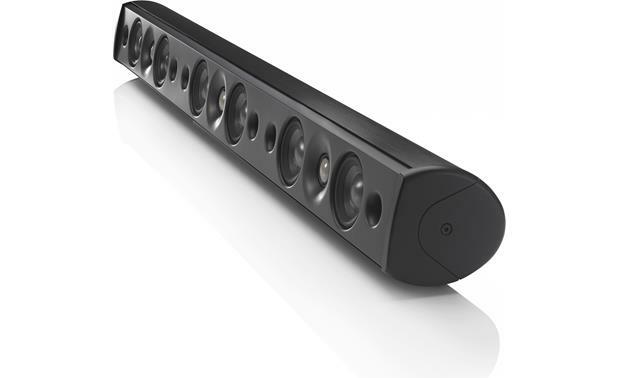 The LCR8 incorporates the front left, center and right speaker channels of a home theater system. Each channel of the LCR8 utilizes a one 1" dome tweeter and two 3" cone woofers (for a total of three 1" tweeters and six 3" woofers). The tweeter and woofer diaphragms are constructed of Micro Ceramic Composite (MCC); a new material created by anodizing both sides of an aluminum cone. Anodizing both sides of an aluminum cone adds strength and stiffness, while still allowing it to be lightweight. Three 1" Tweeters w/ CAI Waveguide Technology: The three 1" dome tweeters feature an underhung voice coil and a ferrofluid magnetic damping and advanced neodymium motor system for optimal performance. Constant Acoustic Impedance (CAI) waveguide technology provides ideal acoustic loading across the tweeters' frequency range, as well as flat response over a wider listening area. Six 3" Cone Woofers: The six 3" Micro Ceramic Composite (MCC) cone woofers feature die-cast alloy frames, oversized magnetic assemblies with flat spiders and butyl-rubber surrounds. Note: When using the system in a home theater system, make sure your AV receiver or processor is set to "Small" for the LCR8 loudspeaker. Some receivers/processors offer a choice of crossover frequencies; select 110Hz as the crossover frequency for the LCR8 loudspeaker. High Order Crossover Network: The Concerta LCR8's high order crossover network features carefully-selected components that contribute to its great performance. The high order crossover network blends the tweeter and woofers together for a smooth, natural sound. This advanced crossover network also dramatically reduces distortion and dynamic compression for clear sound that maintains the same quality over a very wide dynamic range. 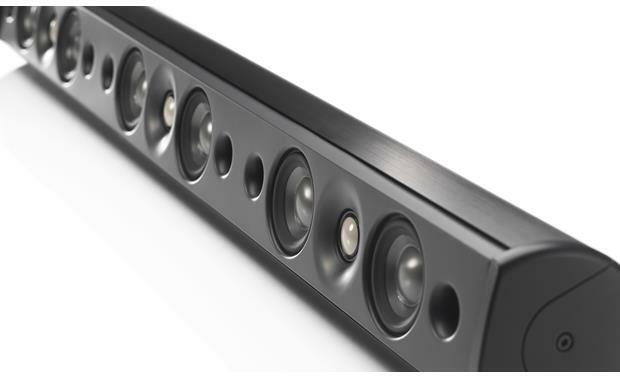 In addition, this precision crossover network optimizes the speaker's timbral accuracy, enhancing musical enjoyment for listeners who are anywhere in the room, not only those seated on-axis to the loudspeakers. Rigid Aluminum Ported Enclosure: The Revel Concerta LCR8 loudspeaker employs a rigid aluminum enclosures that is styled to complement the look of today's flat-panel televisions. There are six front-firing ports for greater efficiency and better midbass response. 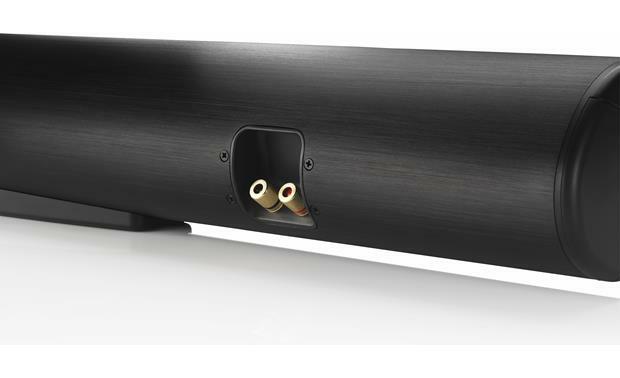 Three Sets of Binding Post Terminals: The Concerta LCR8 loudspeaker features three sets of gold-plated binding-posts that provide connection to the left, right, and center speaker outputs of your AV receiver or integrated amplifier. The binding-posts offer a secure connection for speaker cables terminated with banana plugs (single or dual), spade-lugs, pin-connectors, or bare wire (up to 10AWG). You will need to remove the binding post's plastic inserts in order to use banana plugs. 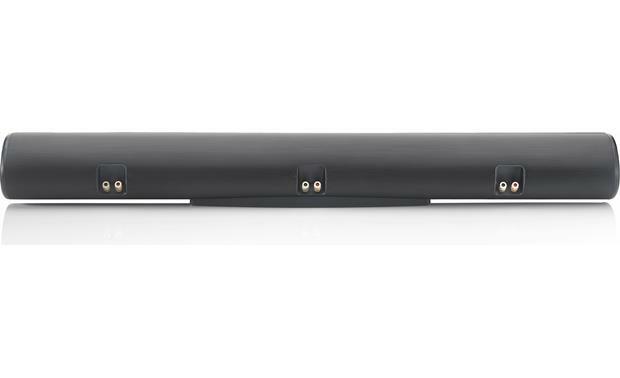 Searches related to the Revel Concerta LCR8 Passive 3-channel home theater sound bar.